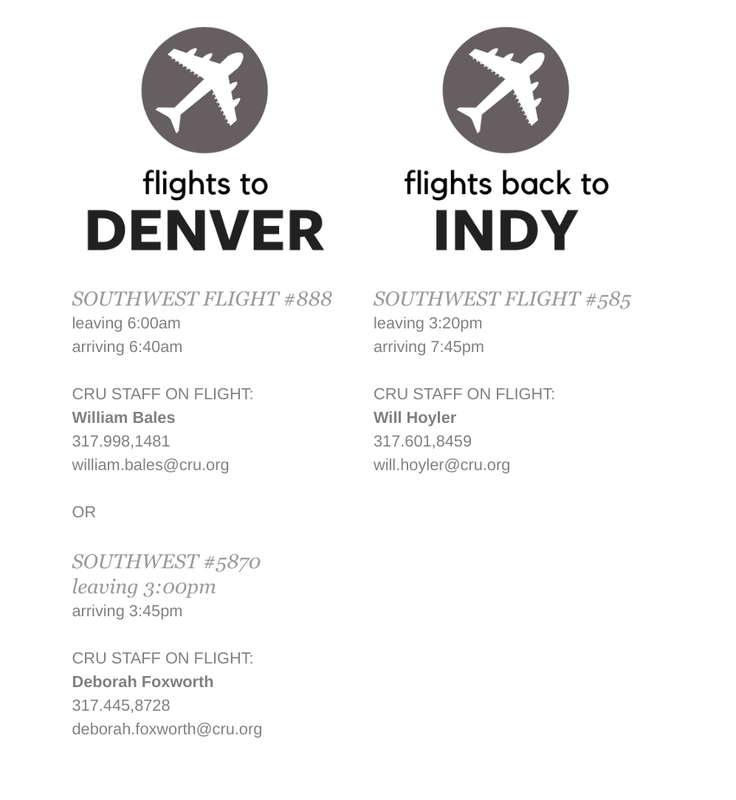 The Rocky Mountain Summer Conference is sponsored by Cru’s high school ministry. Students gather for a six-day summer conference held in breathtaking Estes Park, Colorado. Dates of the 2018 Rocky Mountain Summer Conference are June 9-14, 2018. Transportation We will be flying from Indianapolis to Denver, CO. This cost will be in addition to the conference cost. Location The Estes Park Center/YMCA of the Rockies is located northwest of Denver and sits at an elevation of 8,010 feet. The Center is just outside the quaint town of Estes Park and is within walking distance to the Rocky Mountain National Park. Be sure to bring your hiking boots and camera. What’s Included Conference cost includes your $50 non-refundable registration fee, lodging for five nights, all meals and training materials. Bring money for snacks, bookstore and optional recreation. Directions The Estes Park Center is at 2515 Tunnel Road in Estes Park, CO 80517, located 70 miles northwest of Denver and five miles southwest of Estes Park on Highway 66 (970-586-3341 or 800-777-9622). Registration Info Registration is valid only if all personal contact and insurance information is provided, including proper signatures on required forms. Registration price includes the non-refundable registration fee. Balance due no later than conference check-in. Click here for a printable pdf with Conference information.